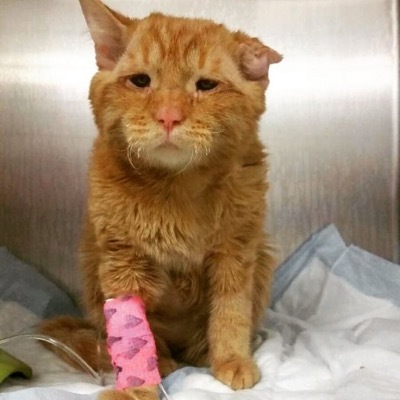 Meet BenBen, he was the saddest cat at an animal shelter until a couple decided to adopt him. 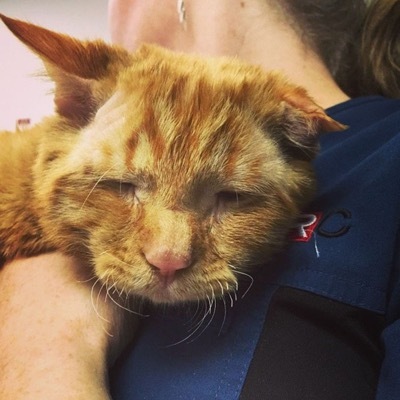 BenBen arrived at the shelter with several deep lacerations, a cauliflower ear and a crushed spine. The only conclusion was that he’d been attacked by an animal that was much larger than himself. 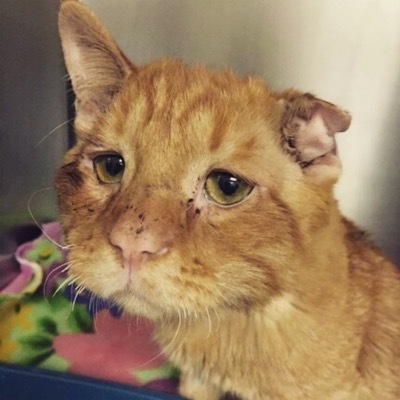 Unfortunately this particular shelter didn’t have a ‘no kill’ policy and BenBen, whose excess skin on his face made him appear very sad, was scheduled to be euthanized in a matter of days. 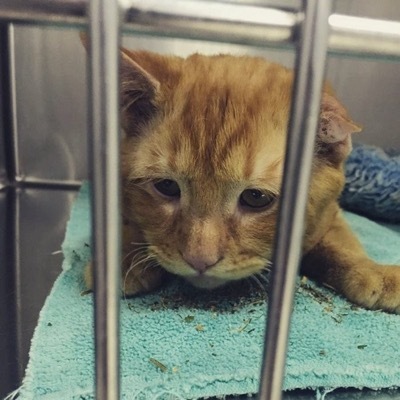 The shelter workers that were caring for BenBen felt that somehow he knew that his days were numbered because he wouldn’t eat, drink, and even stopped moving around. 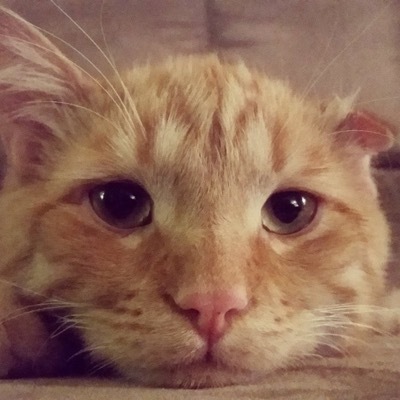 At this point he was deemed ‘un-adoptable’. 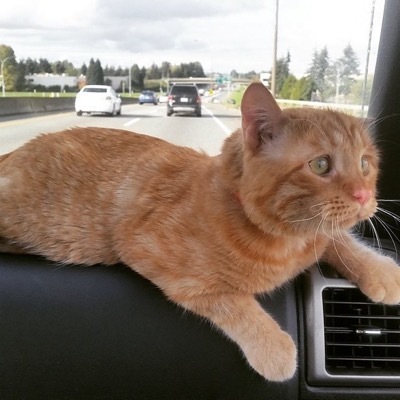 The vets had said that he’d never walk again and would have to be on pain medication for the rest of his life. But soon help was on the way in the form of a kind-hearted lady that worked at the vet clinic, she decided to adopt him. 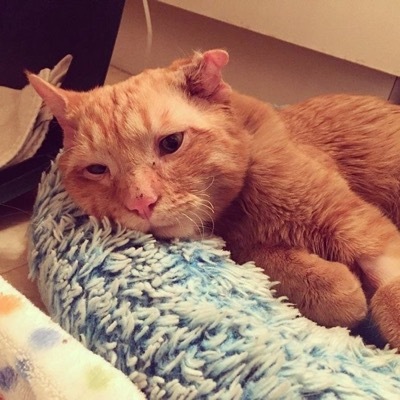 “We managed to get everything sorted out the day before his scheduled euthanization and brought him to his forever home,” explained the kind lady. 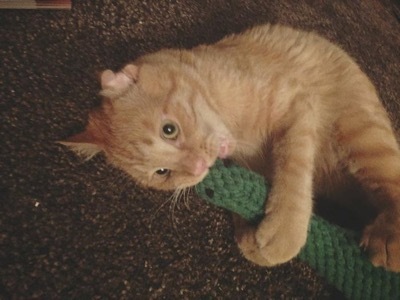 Although it was said at the vets that he will never be able to walk again, BenBen proved them all wrong! 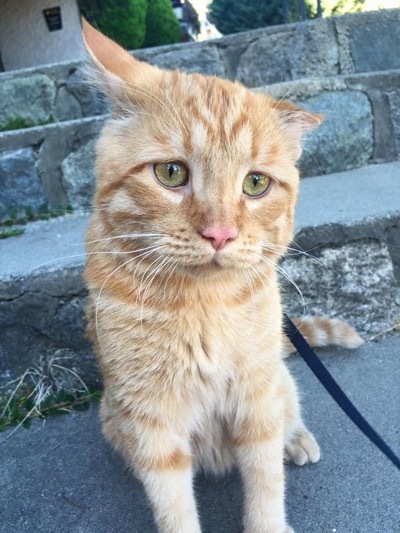 Not only can he walk, he even manages to jump small distances and this happy kitty loves to hang out with his forever humans – especially at meal times! 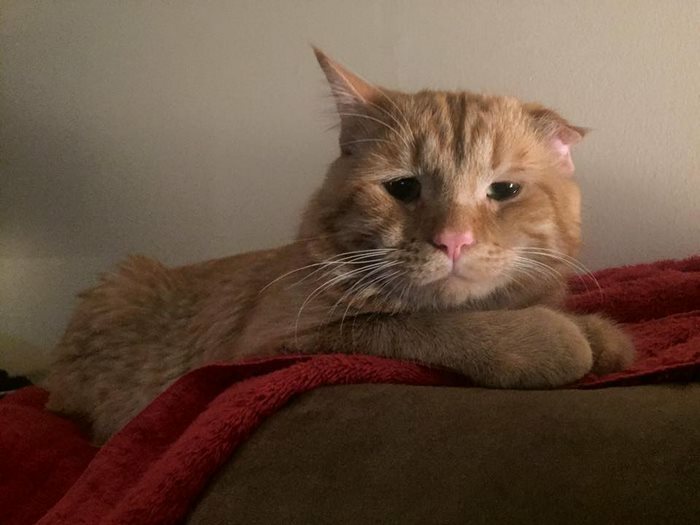 Nine months after being rescued, BenBen still has a sad face, but beneath all that he is one of the happiest kitties in the world.